Gear Fit2: How can I Change the Watch Style? You can change the type of watch displayed on the watch screen. 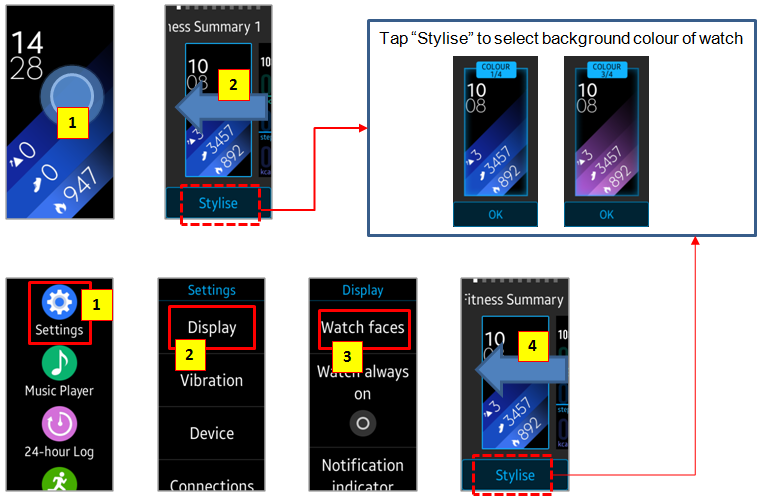 There are 3 methods for you to change the watch style. The watch face you selected will be applied on the watch screen. Screen Images are for reference only.